James Garland Berryman , Geological Senior Scientist at the Lawrence Berkeley National Laboratory, has been recognized by Marquis Who’s Who Top Scientists for dedication, achievements, and leadership in geology. Dr. Berryman joined the Lawrence Berkeley after 25 years as a researcher with the Lawrence Livermore National Laboratory, and has additional industry experience working with the energy firm Conoco and Bell Laboratories. He is one of the country’s leading experts on the physical properties of rocks and porous materials, as well as in acoustic, seismic, and electrical resistance/electromagnetic inverse theory. Recent applications of these skills have been to geophysical problems in oil and gas using seismic exploration and exploitation tools, induced seismicity for geothermal studies, and understanding mechanical and fluid flow properties of granular and fractured media. Dr. Berryman is best known for his patents on time-reversal acoustics for multiple targets. Dr. Berryman was born in Hutchinson, Kansas to Garland Hardesty and Alice Lucile Berryman, and knew he wanted to be a scientist since high school. He earned two bachelor’s degrees in math and physics from the University of Kansas in 1969. Dr. Berryman went on to matriculate toward an MS in physics from the University of Wisconsin, and completed a PhD in condensed matter physics in 1975. He joined Continental Oil Company, now ConocoPhilips, in 1976, and was named a national science fellow of the Courant Institute of New York University in 1977. From 1978 to 1981, Dr. Berryman was part of the technical staff of the AT&T Bell Telephone Laboratories, and in 1981 he became a physicist with the Lawrence Livermore. He went on to Lawrence Berkeley in 2006. 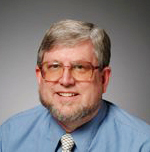 As a preeminent geologist, physicist, and seismologist, Dr. Berryman has been a fellow of the Institute of Physics since 2004, and is a member of the Society of Exploration Geophysicists, the American Geophysical Union, the Acoustical Society of America, and the American Physical Society. He was awarded a 2005 M.A. Biot Medal for his work in poroelasticity from the American Society of Civil Engineers. Additionally, he has been an associate editor of the Journal of Mathematical Physics and the IEEE Transactions in Geoscience, in addition to authorship in numerous industry publications. He is proud of publishing over 187 papers in his career. Dr. Berryman is married to Marcia Ann Griffin, and raised two children, Rachel Lynne and Martin Andrew.